I love a good rose and abhor a bad one. It’s harder and harder to find a good rose scent because modern, mainstream perfumery loves cleaned up, sparkling, girly rose that barely has a personality because it’s supported by equally dull notes in the rest of the composition. Or the rose is so light and non-existent that it might as well not be mentioned at all. So I’m still feeling a little stung by Forbidden Rose maybe that’s why I gave Dark Rose a try. 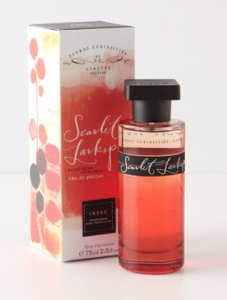 In Bottle: Dark and floral, I smell the rose backed up with a smooth sandalwood with a bit of oud. Applied: Smooth saffron rose with a dark edge that I’m assuming is coming from the oud. No sparkling, clean, girly rose here. It smells sophisticated but not overpowering. It’s light enough to get its point across and has a nice feeling of depth to it. I suppose the lightness might owe some of the credit to it being a cologne. The rose encompasses the scent while staying coated in a sappy oud fragrance as the latter grows stronger the longer you wear it until it hits this warm amber and sandalwood note that helps bump up the woodsy smell and accent the oud’s tendancies to smell a bit animalistic. The dry down is marked with a fading oud and warm amber. Extra: Dark Rose comes in a wide assortment of other scented products such as a bath oil and some incense sticks. What really piqued my interest was the solid perfume encased in this awesome looking egg. If you feel you need your perfume to be encased in a cool egg, better place your orders soon because it’s limited edition. Design: Bottled fairly simply, Dark Rose comes in a spray bottle that pretty much resembles what it is–a cologne spray with an easy to hold container. I would have preferred more refinement. But, don’t judge it by its packaging, Dark Rose has a great deal of complexity for what it is. Notes: Saffron, rose, sandalwood, patchouli, amber, oud, musk. Very nice rose. I’ve read around town that Dark Rose’s composition is fairly tired thanks to the influx of oud fragrances into the market. I haven’t had that much oud in my time, so Dark Rose remains fresh and exciting for me. Reviewed in This Post: Dark Rose, 2012, Eau de Cologne. Montale released this one in 2010. So it’s a relatively new contender in the world of aouds and I’m happy to see this house embrace aoud with such open arms. In Bottle: An incense woodsy fragrance with a core of roses. Applied: Initially this smells like a sophisticated rose settled down by a bit of smoke and spice. The fragrance evolves into a woodsier floral composition adding a bit of ambery musk to my nose. It’s warm and dry, but quite nicely blended with the rose making itself the star. As Aoud Amber Rose continues to age it takes on more and more woodsy qualities with a tinge of animalism too. Extra: I have to question Montale’s methodology. Once a year, we get a few new releases from them. And usually at least one of those releases is an aoud fragrance or something closely related to it. It’s at the point where I’ve sampled my share of Montale aoud fragrances and they all start to smell the same with a couple of components taken out or added in. When a house releases what is essentially the same composition with a couple of tweaks, is it really worth it (aside for collection’s sake) to get the next iteration year after year? Design: I’ll admit, the shiny metal tubes are wearing thin on me. Other niche houses with their simple bottle designs are fairly understandable. They usually have some sort of distinctive aesthetic appeal. 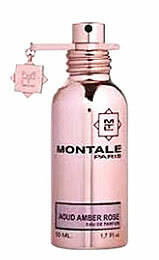 But Montale’s bottles started off beautiful with the brushed metal look. But Aoud Amber Rose? Well, it’s pink. It makes me want to tuck it away in a sock drawer for how inconspicuous it looks. Sorry, Montale, I’m not a fan of the color choice here. Notes: Rose, saffron, guaiac wood, cedar, agarwood. There are novels that have been written about the beauty of aoud notes if used well in a fragrance. I’m on the fence about Montale’s many faces of aoud, but overall, I think they do a pretty good job. Aoud Amber Rose is a decent contender, but I have to concede to By Kilian’s Rose Oud as a more complex fragrance. In the end, this stuff isn’t bad, but it’s got some stiff competition. Reviewed in This Post: Aoud Amber Rose, 2010, Eau de Parfum. When Jen from This Blog Really Stinks dropped by my Lancôme Trésor review and recommended Cuir de Lancôme, I decided it was time I stopped being afraid of the Lancôme machine and find myself some of this mythical juice. The quest for Cuir de Lancôme was not as easy as I thought it’d be, but it was worth it in the end. In Bottle: A slight hint of citrus with a strong saffron presence and this buttery leathery scent that’s very attractive. Applied: Once again, slight hint of citrus up town and the saffron rolls in giving the fragrance this extra bit of luxury as Cuir de Lancôme takes on this creamy, buttery leather scent. You know the joy of getting a new, leather handbag or jacket? That awesome warm, comforting smell? That’s what Cuir de Lancôme reminds me off–except better. There’s a floral wave that comes on in the mid-stage and helps smooth out the leather further. I get mostly jasmine tempered with ylang-ylang from the florals. The flowers give the fragrance a more feminine and delicate quality and they blend beautifully with the saffron. It’s like I’m smelling a vintage perfume that’s been modernized for appeal. It’s one of the nicest modern leathers I’ve smelled in a while! As Cuir de Lancôme dries down the leather evolves and blends with a soft sandalwood and vanilla and this green note that I hadn’t noticed before. 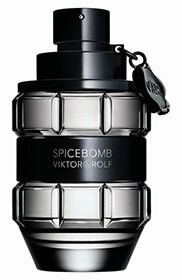 This fragrance is fantastic, it’s like a light floral perfume dressed in a soft leather jacket. It’s longevity is actually quite good while it’s projection tends to stick closely to the skin. Extra: Tracking down some Cuir de Lancôme was ridiculously difficult. I had done some research on it before hand, knew it was a part of a collection called–rather aptly–La Collection. My first mistake was assuming that because it seemed to be a part of an exclusive collection that a Lancôme counter would be more than happy to push off a spray on me in the hopes I’d shell out the premium cash for a full bottle. I mean, that’s how Chanel and Guerlain and pretty much every other fragrance house with an exclusive collection seems to work. Apparently not even Lancôme counters know what La Collection is never mind what I mean when I stand there and mangle the French pronunciation for what I want. Long story short, I bought a decant online and everybody was happy. 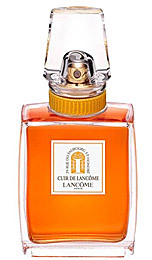 Design: The bottle design for Cuir de Lancôme and other La Collection bottles are just beautiful! They have a clean shape for the flacon and cap with a band around the bottle’s neck that’s a little reminiscent of vintage perfume aesthetics. The labels even remind me of vintage perfumes. I just love the design. Notes: Bergamot, mandarin, saffron, jasmine, ylang-ylang, hawthorn, patchouli, iris, birch, styrax. 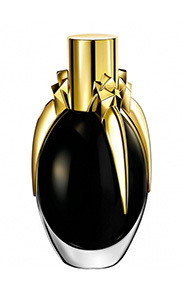 So here’s what I don’t understand with Lancôme, they have this beautiful perfume sitting in a collection. Only they’ve made it near impossible for you to buy the perfume from them directly and you actually have to go to a discounter in order to procure a bottle at at average of $40-60 a go. What happened with Lancôme’s La Collection? Why isn’t it being proudly displayed and sold at counters? It’s just a perplexing mystery to me. But I suppose paying $40-60 for what should be a highly sought after exclusive fragrance is nothing to complain about. Thanks again go to Jen for convincing me to try this out. If anyone has any suggestions for fragrances I should smell feel free to leave a comment! I’m always looking for new smellies. Reviewed in This Post: Cuir de Lancôme, ~2007, Eau de Parfum. By Kilian hits a weird spot on my wallet. I love their fragrances. Love that they have a more detailed than usual list of fragrance notes with their perfumes. 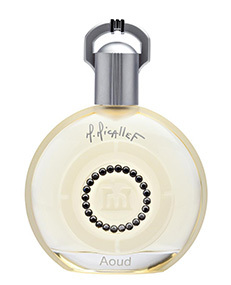 But I’m not loving the price tag and I doubt very much that I would ever purchase a By Kilian fragrance. I just have yet to find one that I really like. 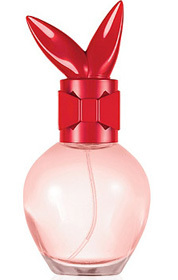 In Bottle: Rose Oud is pretty much what it sounds like. I get a big rose and oud presence in the bottle and I can’t complain. This stuff delivers what it promises. Applied: Heads in with rose, crisp and dewy like you dipped a rose in a cup of water. The fragrance wafts in a bit of oud, giving the scent that dark slightly sticky but very complex and very sophisticated feel and smell. As the fragrance ages, the rose turns into a creamier version of itself, combining with the oud to form a very grown up, very dense scent that speaks quite well for the powerful aura this fragrance seems to project. As the scent dries down, the oud gets a bit more woodsy and the fragrance warms up a bit with a hint of spices layering in with the rose. Extra: Rose Oud was composed by Calice Becker, who has also composed such fragrances as J’Adore, Marc Jacobs Lola, and Tommy Girl. Design: Rose Oud is bottled in much the same way as other By Kilians. A glass bottle with lacquered sides and sold in a box complete with lock and key. For the price they’re asking for it, you should expect nothing less than over-the-top luxury when it comes to the packaging. Notes: Rose, saffron, guaiac wood, agarwood. So like I said before, I have a hard time justifying the price tag of a By Kilian because while the fragrances and the packaging is nice, the truth is the scents could be had elsewhere for less. Or if I wanted to go full-out expensive, there are other niche houses that I prefer. Reviewed in This Post: Rose Oud, 2010, Eau de Parfum.